Isa is a series of classic fixed round tables, designed with the frame in polished solid maple and maple veneer, with inserts in matt painted metal. The base has a footrest in glazed nickel-plated metal. 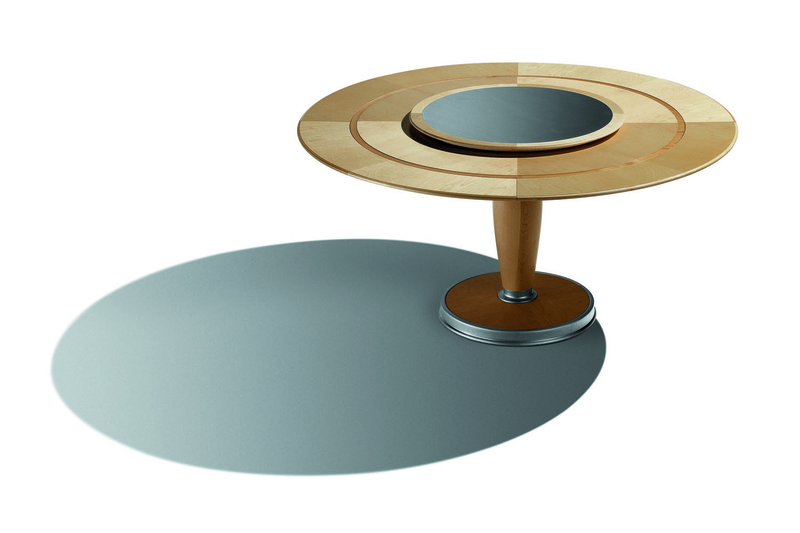 On the top, the matt painted metal plate can accommodate an optional revolving arm to be used as a tray or candle holder. 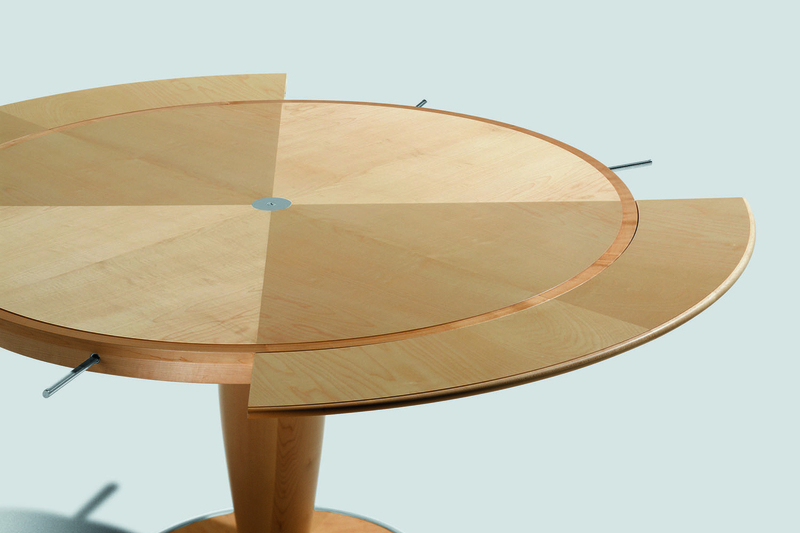 The table can be levelled by means of adjustable feet. 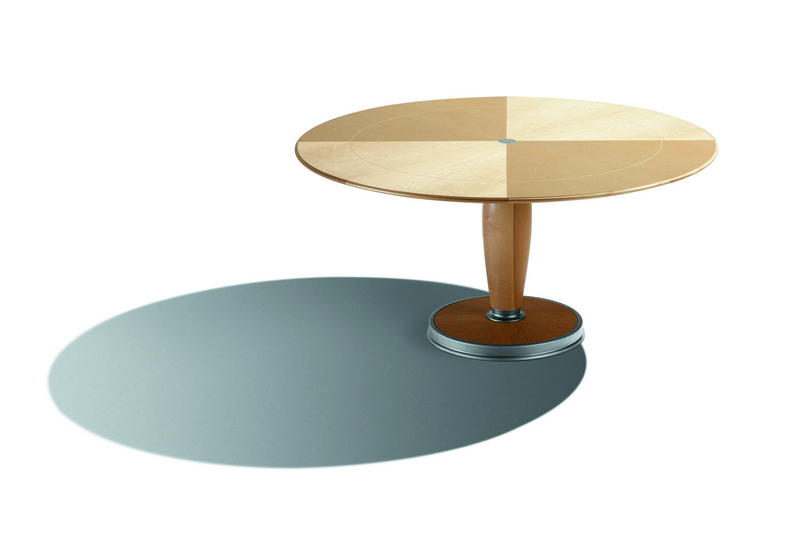 The exclusive extension mechanism allows the table to retain its circular shape. The table can be extended by means of extractable spring supports in glazed nickel-plated metal placed in the top, which support the extension leaf. The extended part can be blocked for optimal stability.